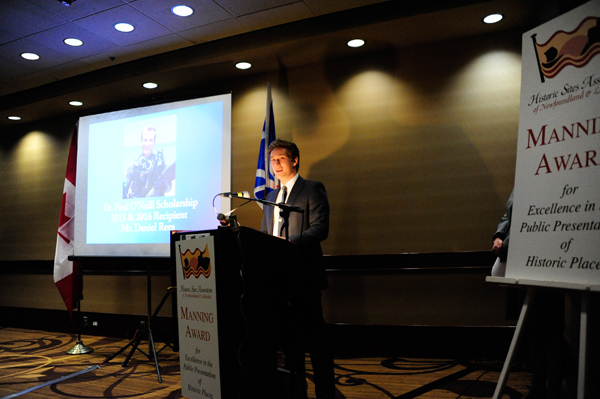 The 22nd Manning Awards for Excellence in the Presentation of Historic Places were presented March 17th, 2016 at a ceremony held at the Sheraton Hotel Newfoundland. 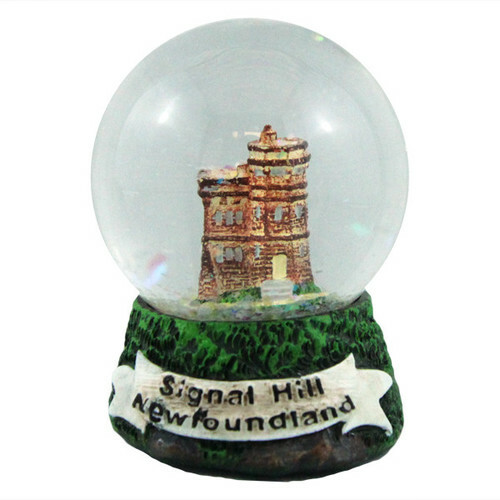 Through the Manning Awards, the Historic Sites Association of Newfoundland and Labrador (HSA), recognizes and celebrates the work of individuals, communities, and organizations in preserving and presenting Newfoundland and Labrador’s history and heritage. Ms. Sharon Outerbridge remarks on a winning project in the Community Category, the theatrical performance "Fleming" by the Basilica Heritage Foundation. 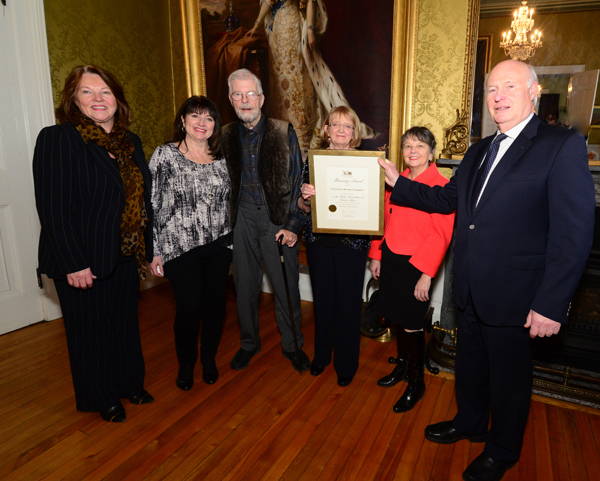 Her Honour, Mrs. Patricia Fagan, presents the Manning Award to Mr. Paul Rowe, playwright of "Fleming". 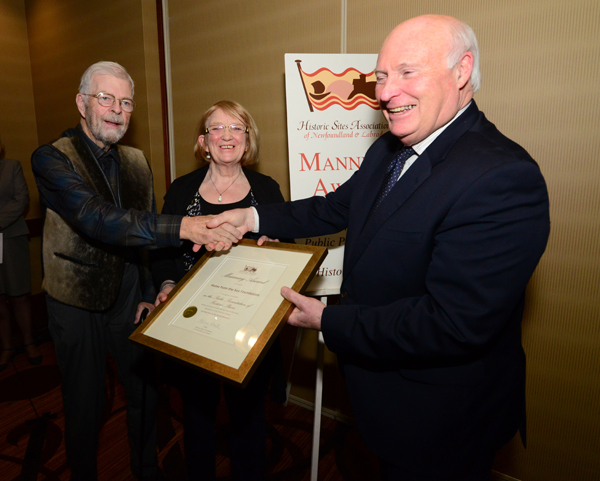 Mr. Paul Rowe, playwright of "Fleming", accepts the Manning Award on behalf of the Basilica Heritage Foundation. 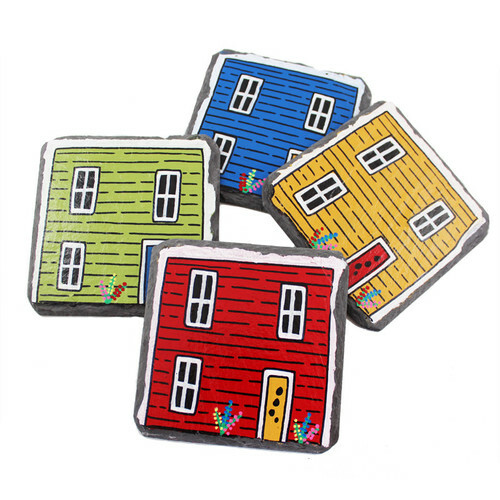 Ms. Katie Harvey, HSA board member, speaks on a project in the Community Category, "Pouch Cove: Our Home by the Sea". Ms. Joyce Manning presents the Manning Award to Mr. Dan Rubin of the Pouch Cove Heritage Society, for their publication "Pouch Cove: Our Home by the Sea". 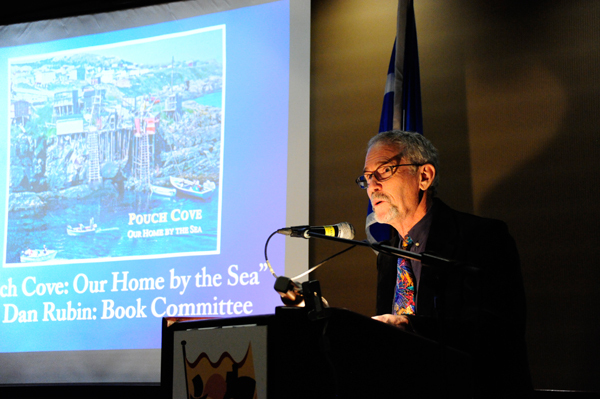 Mr. Dan Rubin accepts the award on behalf of the Pouch Cove Heritage Society and the book committee who worked on "Pouch Cove: Our Home by the Sea". Ms. Terry Bishop Stirling, HSA board member, speaks on Prime Berth Fishing Heritage Centre, a project in the Provincial Category. 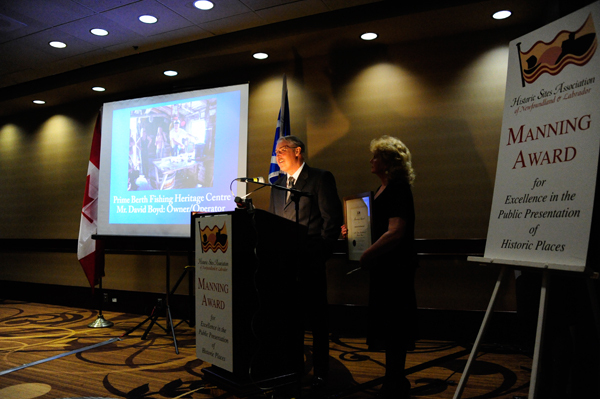 Mr. Bill Brake, Parks Canada Superintendent for the Eastern Newfoundland Field Unit, presents the Manning Award to David and Christine Boyd, owners/operators of Prime Berth Fishing Heritage Centre. Mr. David Boyd speaks on the experiences he and his wife, Christine, have had since creating Prime Berth Fishing Heritage Centre over 20 years ago. Ms. LeeAnn Montgomery, HSA board member, remarks on a project in the Provincial Category, Home from the Sea Sealers Memorial. 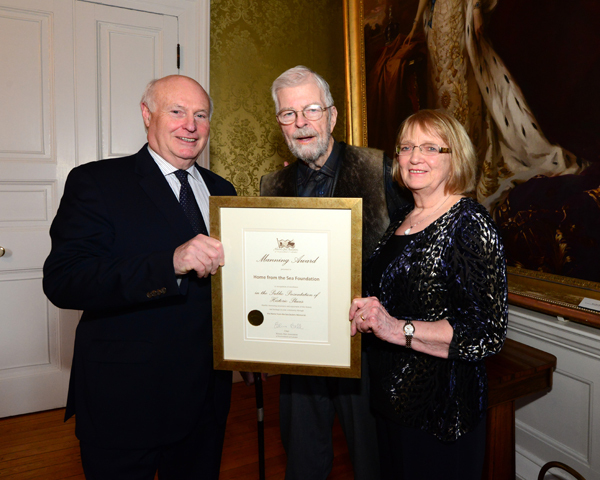 Pictured with the Manning Award are Mr. Chris Collingwood, Co-Chair of the project's Capital Campaign Committee, The Honourable John C. Crosbie, former Lieutenant Governor of Newfoundland and Labrador and patron of the Sealers Memorial campaign, and Ms. Mrtyle Stagg, chair of the Home from the Sea Foundation. Ms. Myrtle Stagg accepts the Manning Award on behalf of the Home from the Sea Foundation. 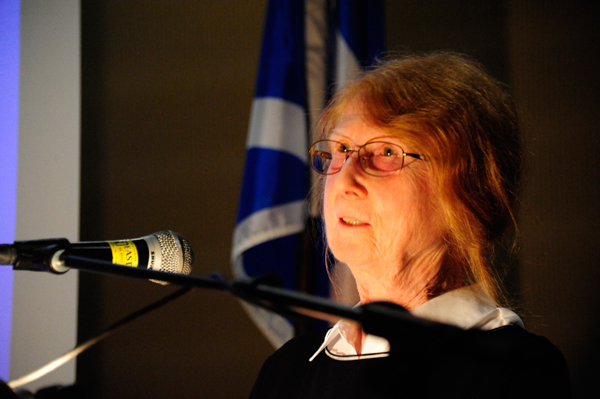 Ms. Joan Ritcey, HSA board member, remarks on this year's Outstanding Heritage Supporter, Dr. Jo Shawyer. His Honour, The Honourable Frank F. Fagan, presents the Manning Award for Outstanding Heritage Supporter to Dr. Jo Shaywer. Dr. Jo Shawyer accepts her award as 2016's Outstanding Heritage Supporter. 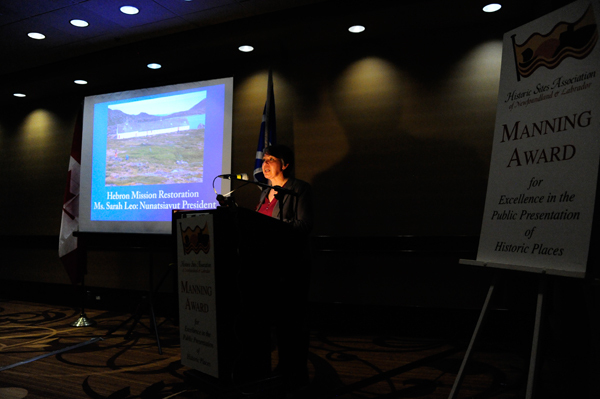 Ms. Margo Connors speaks on a project in the International Category, the Hebron Mission restoration conducted by the Nunatsiavut Givernment. HSA Executive Director, Ms. Andrea MacDonald, presents the Manning Awards to the Nunatsiavut Goverment, which is accepted by President Sarah Leo. President Sarah Leo accepts the Manning Award on behalf of the Nunatsiavut Government and speaks about the people who completed the work at Hebron and their personal connections to the community. 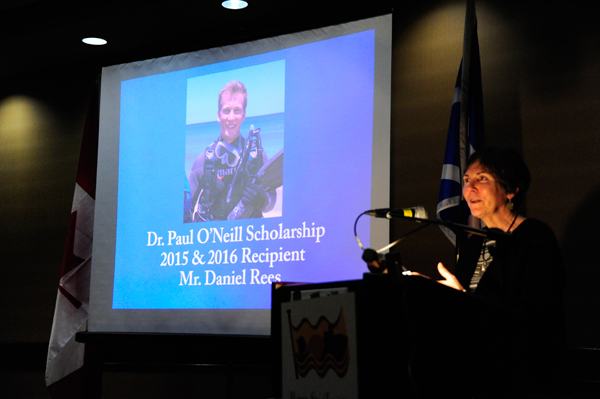 Dr. Lynne Phillips, Dean of Arts at Memorial University, remarks on the receipient of the 2015 and 2016 Dr. Paul O'Neill Scholarships, Mr. Daniel Rees. Dr. Lynne Phillips, Dean of Arts at Memorial University, presents Mr. Daniel Rees with the 2015 and 2016 Dr. Paul O'Neill Scholarships. Mr. Daniel Rees thanks the HSA fr supporting his Newfoundland and Labrador studies through the Dr. Paul O'Neill Scholarship. Some members of the HSA Board of Director's who attended the 22nd Manning Awards, pictured at the post-ceremony reception at Government House. 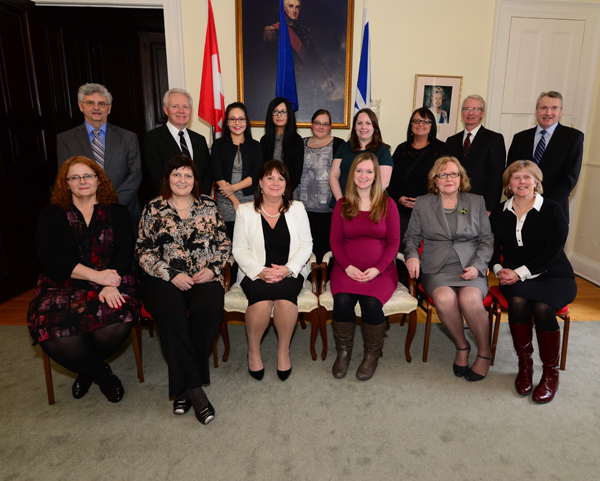 HSA staff members attending the post-Manning Awards reception at Government House. 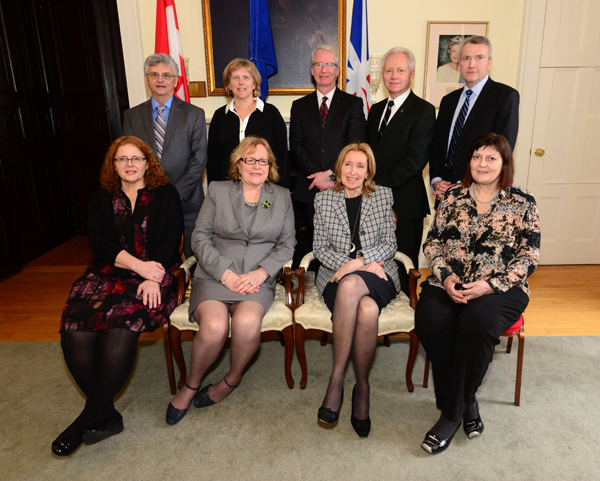 HSA board members and staff attend the post-ceremony reception at Government House. David and Christine Boyd of Prime Berth attend the post-award reception at Government House with family members. Representatives from the Home from Sea Sealers Memorial at Government House with their Manning Award. Mr. Chris Collingwood, Co-Chair of the Capital Campaign Committee, with The Honourable John C. Crosbie, patron of the Sealers Memorial Campaign, and Ms. Mrtyle Stagg, Chair of the Home from the Sea Foundation, attend the post-award reception at Government House. 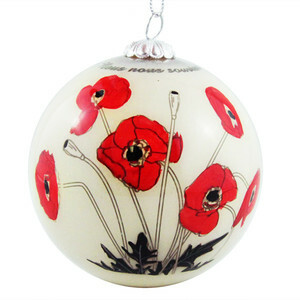 His Honour, The Honourable Frank F. Fagan, Lieutenant Governor of Newfoundland and Labrador and patron of the Manning Awards, and The Honourable John C. Crosbie, past Lieutenant Governor of Newfoundland and Labrador and past-patron of the Manning Awards. Mr. Levi Nochasak, heritage carpenter who worked on the Hebron Mission restoration, meets His Honour, The Honourable Frank F. Fagan at the post-award reception at Government House. President Sarah Leo of the Nunatsiavut Government, meets Her Honour, Mrs. Fagan, at the post-award reception at Government House. Nunatsiavut President Sarah Leo and Minister of Cultural, Recreation and Tourism, Sean Lyall, pictured at the post-Manning Awards reception at Government House. The representatives for the Hebron Mission Restoration are pictured at Government House with Their Honours, The Honourable Frank F. Fagan, and Mrs. Patricia Fagan. David and Christine Boyd of Prime Berth Fishing Heritage Centre are pictured with their guests, and Their Honours, The Honourable Frank F. Fagan and Mrs. Patricia Fagan. Dr. Jo Shawyer, the Outstanding Heritage Supporter for 2016, is pictured with Their Honours at the Government House reception. The representatives of the Home from the Sea Sealers Memorial at pictured at Government House with Their Honours. Representatives of the Pouch Cove Heritage Society are pictured at the Government House reception with Their Honours, The Honourable Frank F. Fagan and Mrs. Patricia Fagan. The recipient of the 2015 and 2016 Dr. Paul O'Neill Scholarship, Mr. Daneil Rees, is pictured with Their Honours. Mr. Daniel Rees, recipient of the 2015 and 2016 Dr. Paul O'Neill Scholarship, is pictured at the post-award reception at Government House with his parents. His Honour, The Honourable Frank F. Fagan, Lieutenant Governor of Newfoundland and Labrador, and patron of the Manning Awards, brings greetings at the award ceremony. 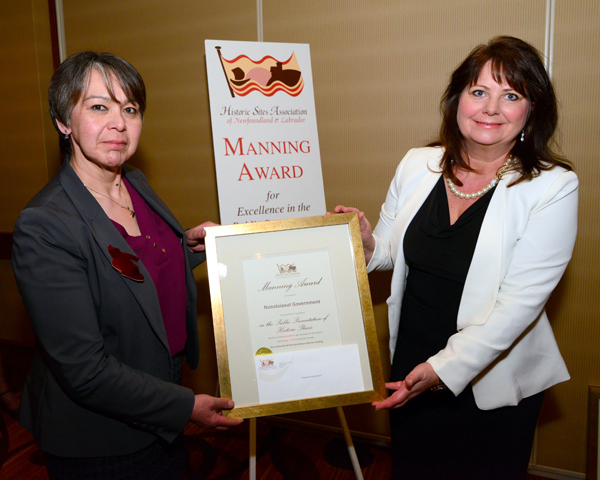 The Manning Awards were established in 1993 as a tribute to the late Bill Manning, for his outstanding contribution to the preservation and development of the National Historic Sites of Canada located in the province, and for involving local communities in the process. 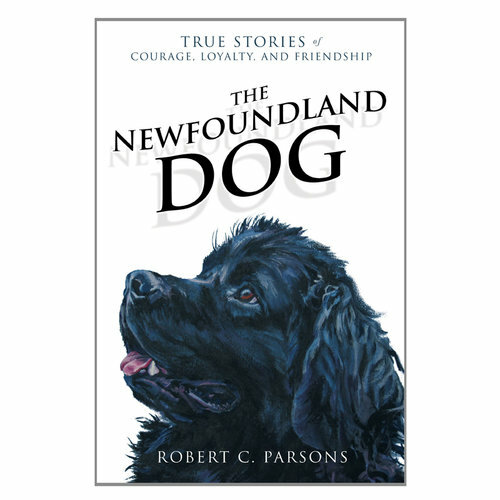 Those in attendance at the ceremony included: patron of the event, His Honour, The Honourable Frank F. Fagan, Lieutenant Governor of Newfoundland and Labrador, who was accompanied by Her Honour, Mrs. Patricia Fagan. 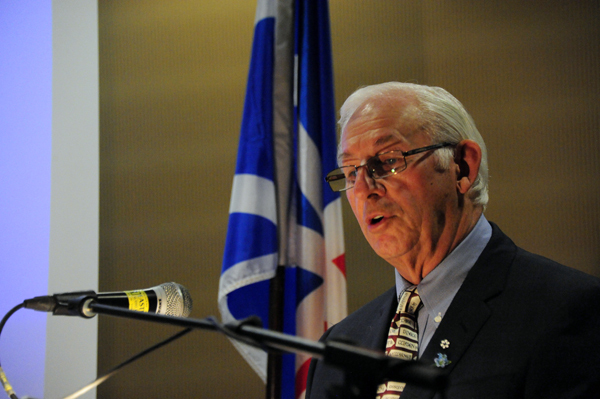 Also in attendance was past patron of the Manning Awards, The Honourable John C. Crosbie. They were joined by family members of the late Bill Manning, board and emeritus members of the HSA, volunteers and others representing this year’s award recipients, heritage leaders from the community, and federal, provincial and municipal government representatives. 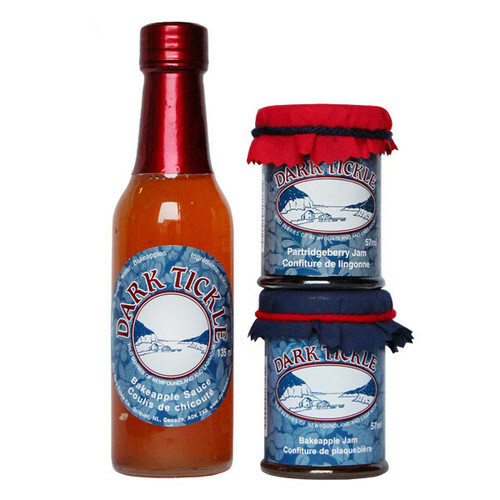 Community Category: The Basilica Heritage Foundation for “Fleming”, a theatrical performance presenting the history of the Basilica Cathedral of St. John the Baptist and the historical figure Bishop Michael Fleming. Community Category: The Pouch Cove Heritage Society for the book “Pouch Cove: Our Home by the Sea”, capturing the history, heritage and stories of their local community. 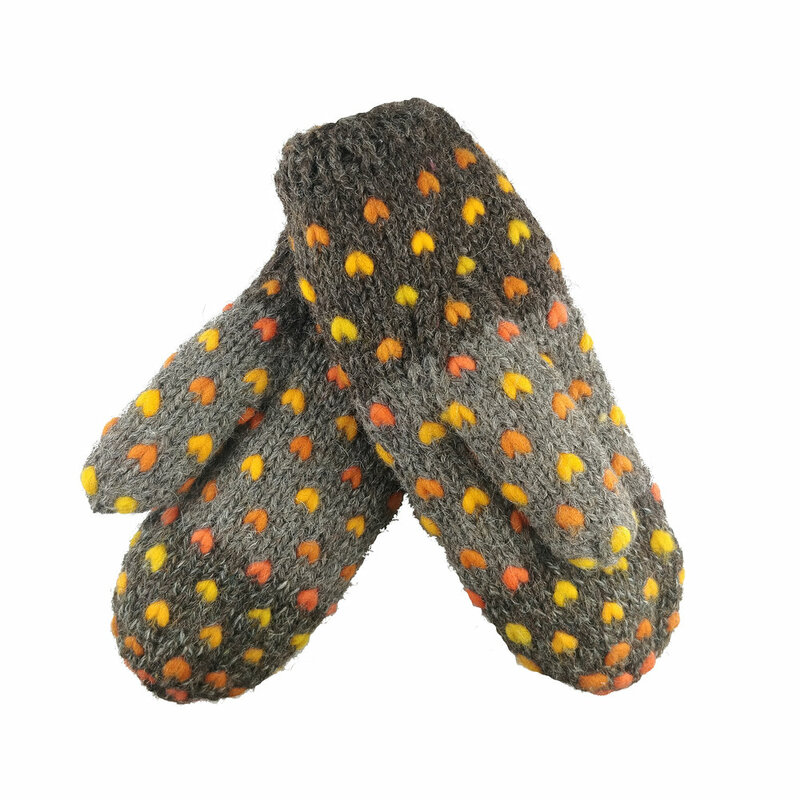 Provincial Category: David and Christine Boyd for Prime Berth Fishing Heritage Centre, a private museum sharing the history of the in-shore fishery and engaging visitors in first-person experiences. 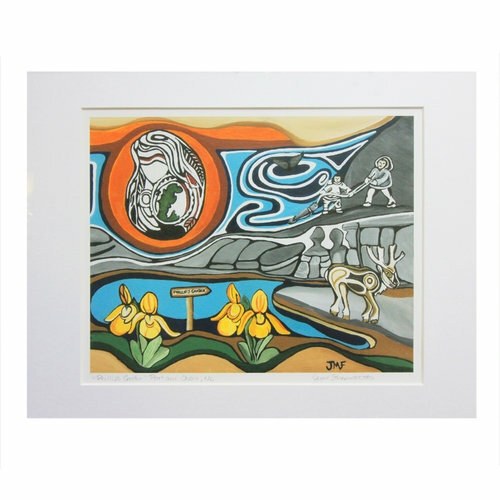 Provincial Category: Home from the Sea Foundation for Home from the Sea Sealers Memorial, commemorating the 1914 Sealing Disaster and sharing the province’s sealing heritage. 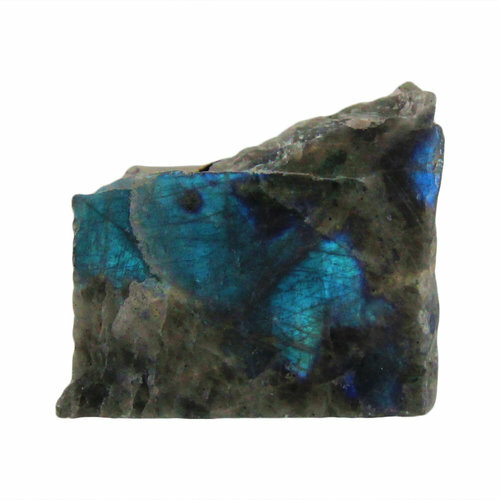 International Category: Nunatsiavut Government, for the Hebron Mission Restoration, preserving the story of the Moravian mission at Hebron and its effects on the Inuit people though restoration of the main mission building. 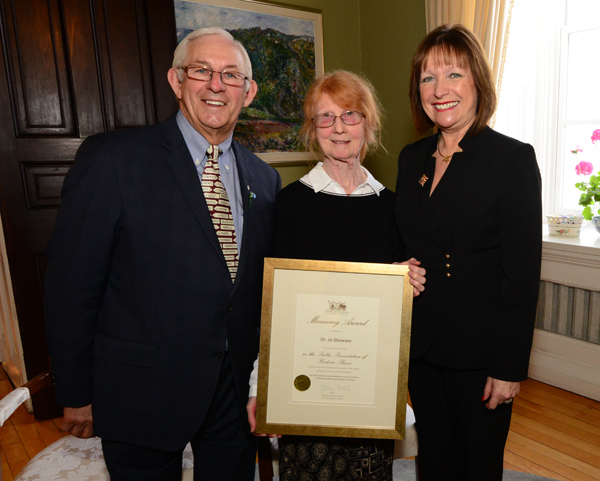 Outstanding Heritage Supporter: Dr. Jo Shawyer, for her great personal contributions to presenting Newfoundland and Labrador heritage by improving the quality of our province’s museums and our understanding of our agricultural heritage. During the ceremony, the 2015 and 2016 Dr. Paul O’Neill Scholarships for Excellence in Newfoundland and Labrador Studies was presented to Mr. Daniel Rees, who is studying archaeology at Memorial University. 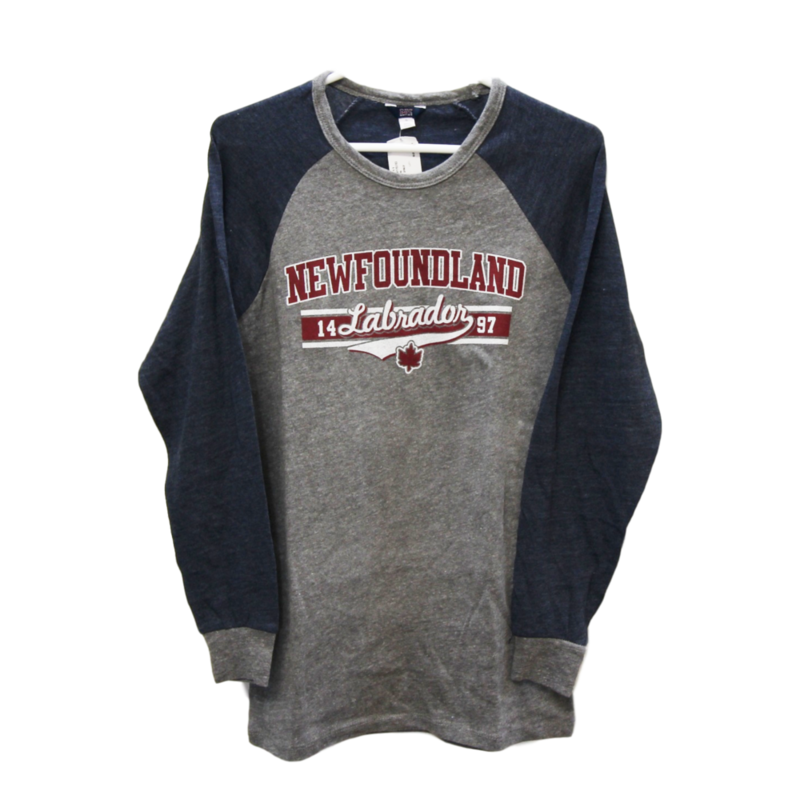 The Historic Sites Association of Newfoundland and Labrador (HSA) is a non-profit organization with a mandate to preserve and present the province's history and heritage. 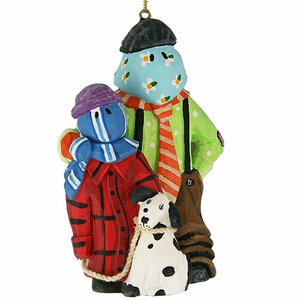 Through a partnership with Parks Canada, the HSA also encourages full public enjoyment of Newfoundland & Labrador culture as presented at the National Historic Sites. 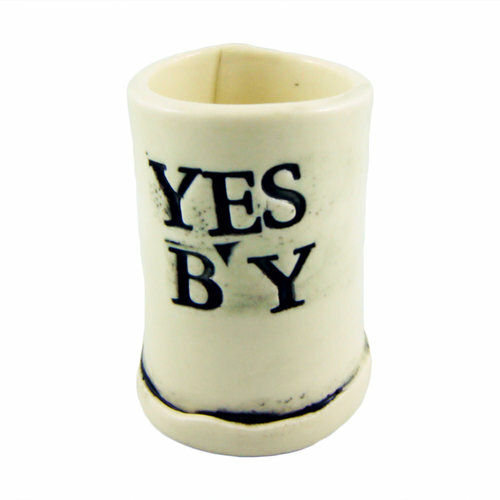 The HSA supports its work by operating nine Heritage Shops across the province. 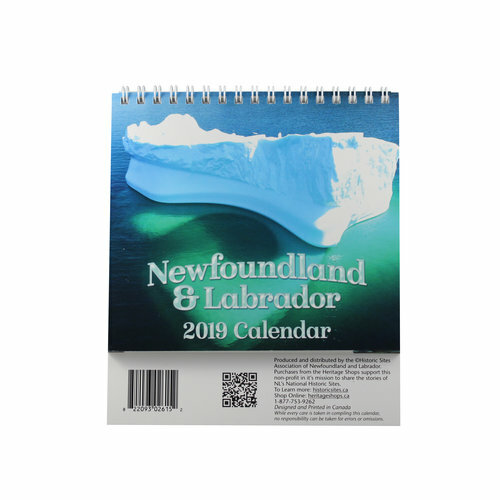 These shops also support their mandate by presenting the province’s history and heritage thorough a wide variety of local art, craft, gifts, and books.